OBJECTIVE: The three-dimensional (3D) printing models has been demonstrated to be useful in therapeutic guiding. However, there have been few studies exploring the properties of the heart using 3D printed models. We attempted to assess the inadequate understood tricuspid valve annulus (TA) and papillary muscle (PM) geometrical changes in diastole and systole using 3D printed right ventricular models. METHODS: Stereolithographic (STL) files were converted, using ECG-gated 320-detector-row multislice computed tomography in order to analyze the geometry of the TA and PM throughout the cardiac cycle. Right ventricular end-diastolic (ED) and end-systolic (ES) models were subsequently 3D printed. RESULTS: Characteristing the shape of the annulus, annular height increased from ED to ES (7.0 to 11.0mm), whereas eccentricity (measure of how circular a shape is) decreased from ED to ES (0.88 to 0.70) showing that the annulus became more oval and wave form in ES. 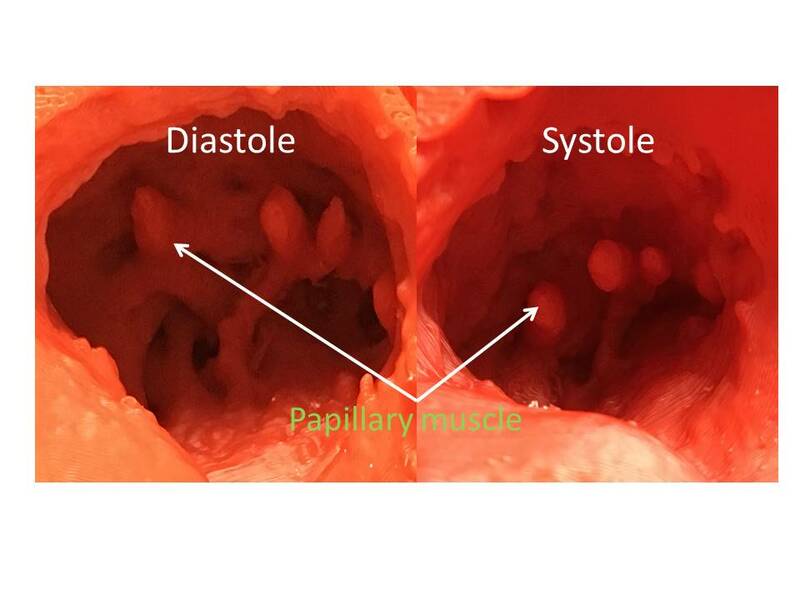 Interpapillary muscle distance (IPMD) was measured from papillary tip-to-tip and base-to-base. Tip-to-tip IPMD between septal and anterior(S-A), anterior and posterior(A-P), septal and posterior(S-P) PM decreased from ED to ES respectively (17.0 to 10.0mm, 16.0 to 14.0mm, and 25.5 to 22.5mm). Similarly, base-to-base IPMD between S-A, A-P, S-P PM decreased from ED to ES (19.5 to 19.0mm, 22.0 to 17.0mm, and 36.5 to 33.0mm). Distance between the septal, the anterior and the posterior PM tip to the apex decrease from ED to ES, suggesting a papillary muscle apical movement (45.0 to 38.0mm, 59.0 to 47.0mm, 66.0 to 55.5mm). CONCLUSIONS:The tricuspid valve annulus and papillary muscle geometry were remarkably changed between diastole and systole. These preliminary results support that 3D printing of cardiac models at selected cardiac cycle phase enable accurate assessment of valve complexes.